One recent weekend, we spent each day being all sorts of adventurous. 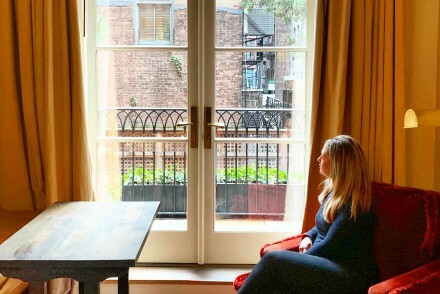 I went for a run in Central Park (heaven), a boat ride on the Hudson River with good friends, and cocktails at the fancy Carlyle Hotel as we met a new friend. We also watched the sunset over Brooklyn Bridge Park, while getting ice cream treats and dining at Grimaldi’s Pizza in Brooklyn for the very first time. Every day felt fun filled; exactly how I like it. I plan to keep our entire summer this way. 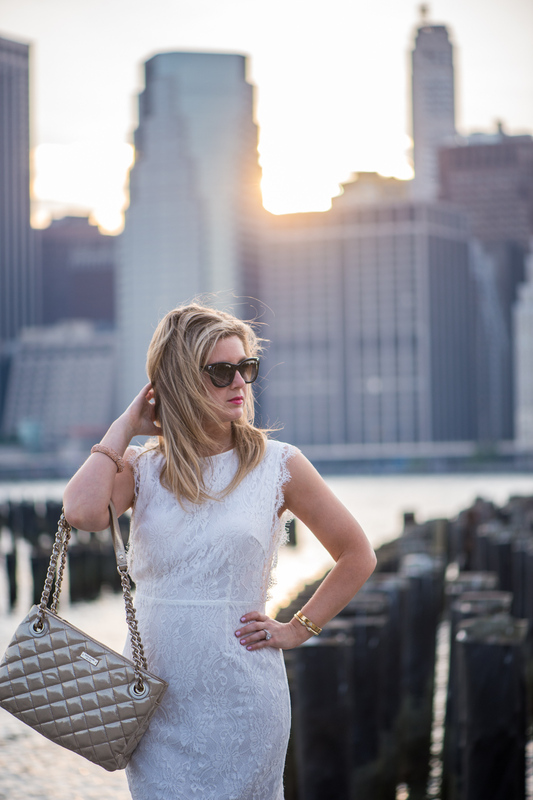 For our adventure to Brooklyn Bridge Park, I wore a brand new, little, lace, white dress. When I saw the style, I was immediately drawn to the lace fabric, the open back, and open sides as well. 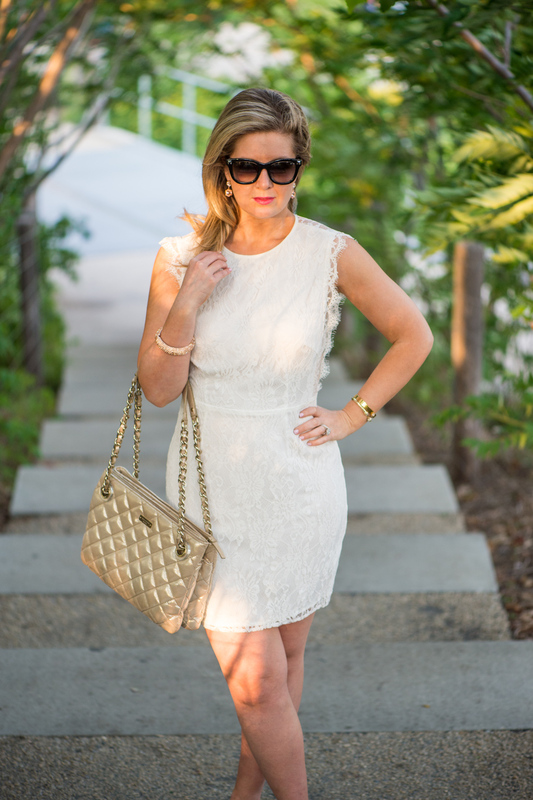 I have such a love for little white dresses, and #cantstopwontstop wearing them all summer long. The look of a little white dress is simple, sleek, sophisticated and feminine. You know my style by know, and these qualities are always high on my list when choosing pieces for my wardrobe. If a little white dress was all you had to wear, you’d be set for any occasion. 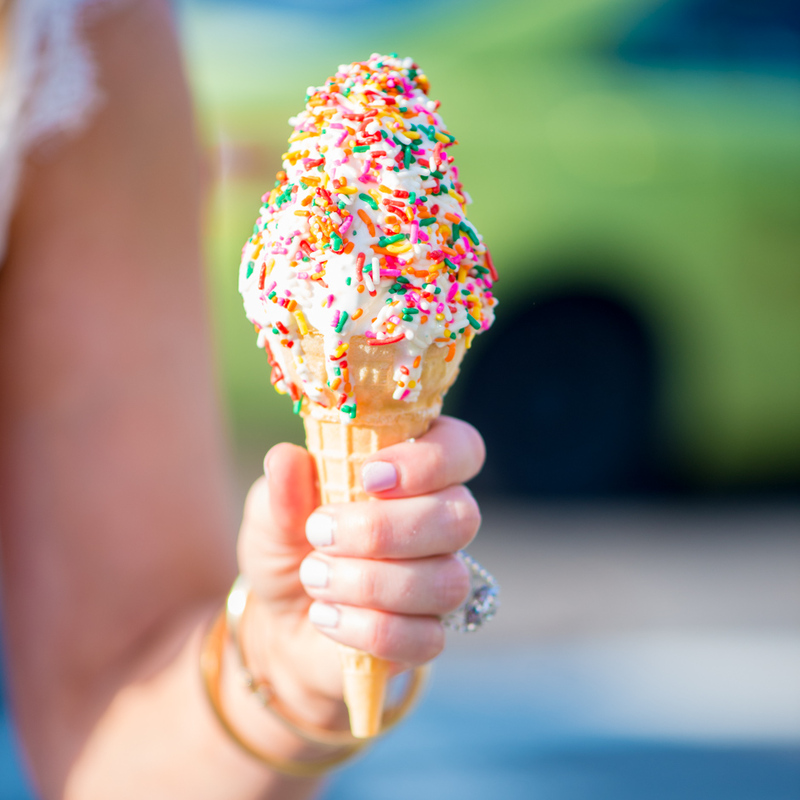 It is a true staple for the summer season. Add flip flops for a daytime look, stilettos and accessories to kick your heels up at night, and you’re ready to take on the world. I promise. It’s great to play with different silhouettes and there are always so many styles to choose from. Try a one shoulder option, a halter, a midi length, maxi dress, or even a skirt and crop top. Make the style and look your own. I accessorized my look with blush and rose, gold earrings (similar here), and a blush, crystalized bangle. I kept my jewelry simple to show off the design details of the dress. I discovered a quilted, champagne Kate Spade bag that I forgot I had. This never happens to me. I don’t save things that I buy. I’m the girl that instantly rips off tags, and wears my purchase home, because I’m too excited. You only live once, right? Right. The Kate Spade bag was absolutely perfect and I’m fairly sure it won’t be leaving my side any time soon. I wore gold heeled sandals and Valentino sunnies to complete my look.